This is the Archery merit badge for Scouts, Lone Scouts, and qualified Venturers or Sea Scouts. The Archery merit badge was one of the original 57 merit badges issued by the Boy Scouts of America in 1911. A FREE workbook for Archery is available here! (PDF or Word) with the maps, charts, links, diagrams, and checklists you need! Or click here to print just the Archery requirements. usscouts.org has PDF and Word versions of workbooks for Scouts BSA ranks and merit badges, Cub Scouting ranks and adventures, and STEM Nova awards. Per the BSA: "You should read the merit badge pamphlet on the subject." The Archery merit badge pamphlet can purchased at ScoutSthop.org or at your local Scout Shop. The BSA Shooting Troop Program Feature offers meeting and activity plans to include Archery as one of your monthly themes. Archery is a popular summer camp merit badge. Texas Archery Camp Counselor Archery Handbook A powerpoint intended to instruct the instructors on basic archery skills for camp. Covers many of the requirements for BSA Archery. 2. The arrow diagram you need is in the Archery Worksheet. Completed diagram of arrow parts. c. Arrows Materials listed with their purpose, pros, and cons. c. How to Make a Bowstring A step-by-step process with photos. 4. 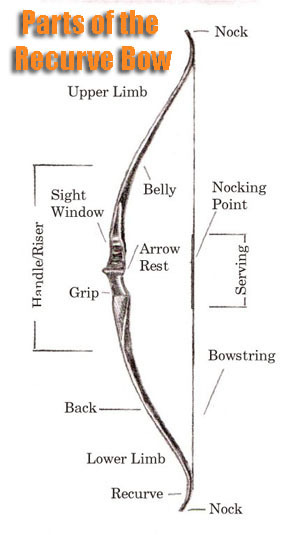 The Rules of Archery Includes explanations of scoring, rounds, definitions.